Hunter Labour Hire have zero-tolerance on workplace bullying and discrimination. While we have not had any reports of incidents directly at HLH we know it can happen from time to time and we will not stand for it. 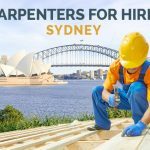 Hunter Labour Hire are responsible for all their workers on site and we want to make sure they are all comfortable and that they are not subjected to any sort of derogatory or racist remarks. Bullying in the workplace has no place in the modern work environment. The occurrence of bullying in the work place can have devastating effects on the person who is at the receiving end of it, sometimes these effects aren’t known until it’s too late. Unfortunately, people on construction sites can take things a little to far and this can really grind a person down especially when no one knows what other difficulties they may be having at the time. Depression is a slow and vicious beast and people who are affected by it can find it impossible to break free from its grip. Sometimes a good morning can make a real difference to someone’s day and as the old saying goes “It’s nice to be nice!”. 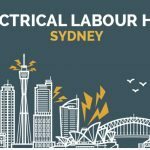 Hunter Labour Hire are committed to sending out the best of the best and this includes their etiquette on site. We ensure that labour hire candidates are fully aware of how to conduct themselves on site and we hold them accountable if they act in a manner that isn’t in line with company policy. On the other hand if any of our employees are being bullied or discriminated against on site we trust that they follow the procedure outlined below. In the rare instance you are subjected to bullying or discrimination you shouldn’t suffer in silence speak up for yourself. If you feel safe and comfortable doing this, calmly tell the other person that you object to their behaviour and ask them to stop it. They may not realise the effect their behaviour is having on you or others, and your feedback may give them the opportunity to change their actions. If this doesn’t resolve the issue then tell your employer or the site supervisors as soon as you can, the sooner the problem is addressed the quicker the solution. As well as notifying the site supervisor you should contact your account manager at HLH so they can take the necessary steps to resolve the issue. You should also consult the HLH Work Health and Safety Policy for additional information. If you happen to see or hear of bullying on site than you should also report the offender. Stand up for your colleague as you don’t know what they are going through and sometimes all it takes is someone to offer a helping hand to break the cycle. 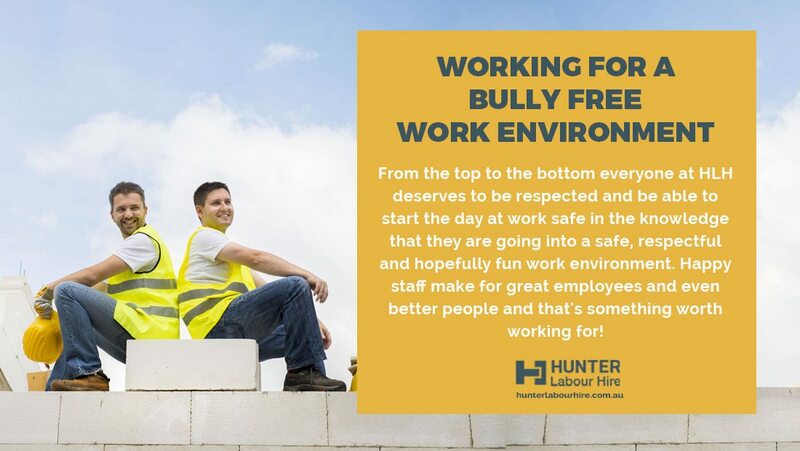 Here at Hunter Labour Hire, from all of the staff in the office and all the teams out on work sites all over Sydney, we aim for a bully free, happy work environment for all. From the top to the bottom everyone at HLH deserves to be respected and be able to start the day at work safe in the knowledge that they are going into a safe, respectful and hopefully fun work environment. Happy staff make for great employees and even better people and that’s something worth working for! 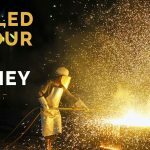 If you want to join the HLH team, or hire a team of bully free tradies, then give us a call now on +61 2 8985 2019 or contact us online!